Do you want to know how to easily install the app on your iPad? IBM Domino Mobile Apps is a mobile client for the Apple iPad that allows you to work with your Notes Applications. It is available from the Apple App Store. 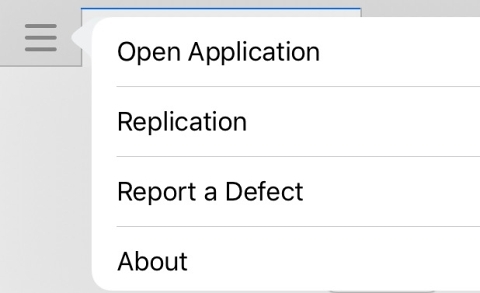 IBM Domino Mobile Apps includes offline replication, touch optimization and extends your Notes Applications with device capabilities. The Notes mail application (based on the standard mail template) is not supported. 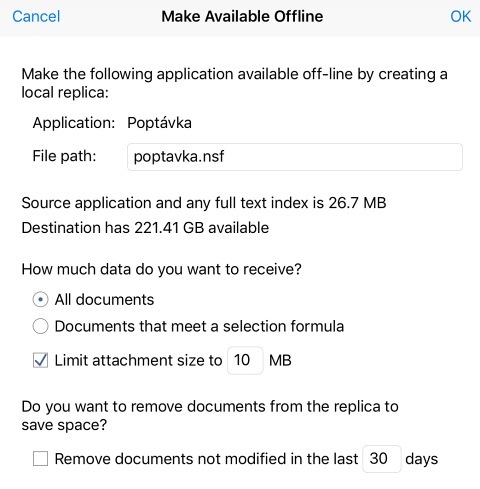 Sharing attachments with other entities such as other iOS applications is not supported. Custom actions that are defined for the drop-down action menu are not available. Importing images into Notes rich text fields is not supported. 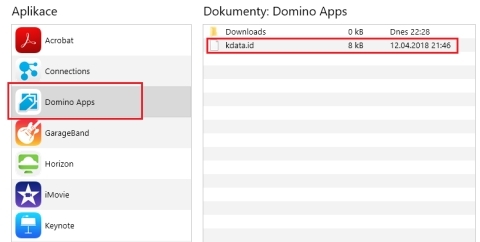 Domino Mobile Apps network requests are limited to 10 seconds. If latency between the client and a Domino server causes network operations to exceed this limit, then normal operations can fail. 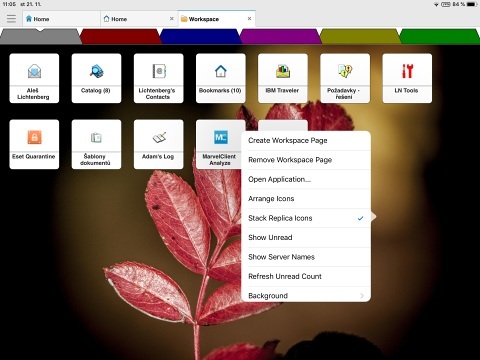 The Notes Workspace is not supported. iOS 11.4+ or 12.1+ installed on your iPad. 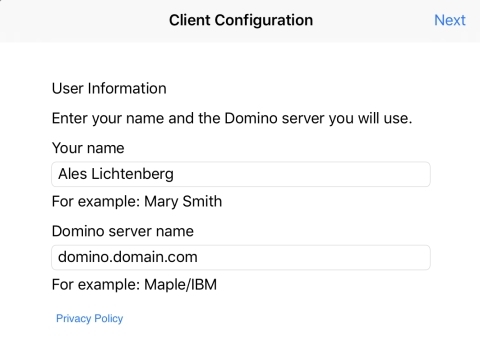 IBM Domino 9.0.1 or 10.x or later server that you can access through a virtual private network (VPN) or over the internet. SmartCloud Notes mail users: You must copy your Notes ID file to your iPad. 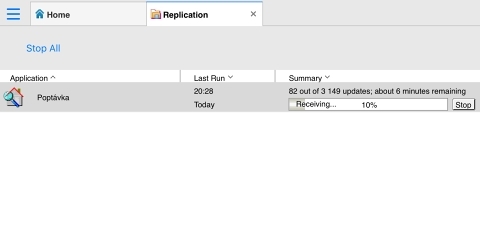 For information, see Setting up Domino Mobile Apps in the cloud. Download and install Domino Mobile Apps from the Apple App Store. 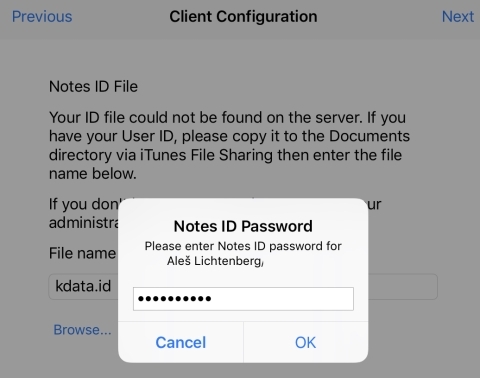 If your Notes ID file is not in an ID vault on a server make a local copy of it on your iPad. The following steps describe how to a copy it from computer using Apple iTunes. Provide the password for your Notes ID and click Next. 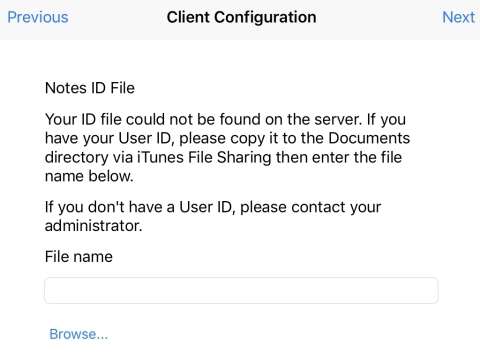 If you see a message stating that the ID file can’t be found on the server, browse and select a local copy of the file that you copied to your iPad. 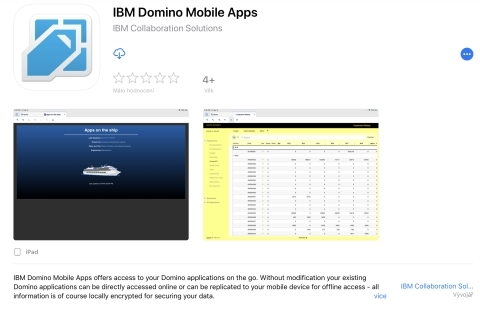 Now you can start using IBM Domino Mobile Apps.